-Design and integration of instrumentation applied to monitor and measure different physical variables applied to physical phenomena in research and industry. -Application of optical physics to characterize objects of weak phase as micro-roughness and phase of transparent samples. -Optical coherence tomography ( OCT). -Sistemas mecatrónicos para el aprovechamiento de energía solar. -Unconventional polarized states: generation, detection, and applications. -Design and fabrication of optoelectronic devices based on thin film semiconductors. -Electrical characterization of flexible electronic devices under different stress conditions. -Development and characterization of transparent thin films for transparent electronic applications. -Synthesis and characterization of thin films based on chalcogenides for light sensors and solar cells. Grupo de Propiedades Ópticas de la Materia (GPOM). - Algorithm design for novel signal processing in sensor systems. - Research and development of distributed and multiplexed fiber sensors. - Development of fiber pulsing lasers for fiber sensors application. -Grupo de Propiedades Ópticas de la Materia (GPOM). -Solar resource assessment through development of smart sensor using artificial vision. -Simulation of optical behaviour of solar concentrators by ray tracing algorithms. 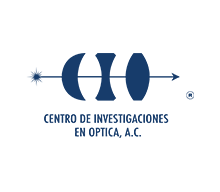 -Development of optical-thermal characterization methodologies in solar concentration systems. -Design of solar thermal systems for industrial heat and electricity production. -Use of solar energy for the development of photosensitive materials and generation of alternative fuels. -Saving of energy and use of alternative energy, especially solar energy. -Treatment of contaminated effluents, using alternative technologies such as Advanced Oxidation Processes. -Development of photoelectrochemical technology for the generation of hydrogen. -Supercontinuum generation in optical fibers. -Applications in quantum information and computation. -Components, sensors and devices based on fiber-optic gratings. -Illumination by fiber optics and its applications. -Nonlinear effects in optical fibers and its applications.